This is so exciting! 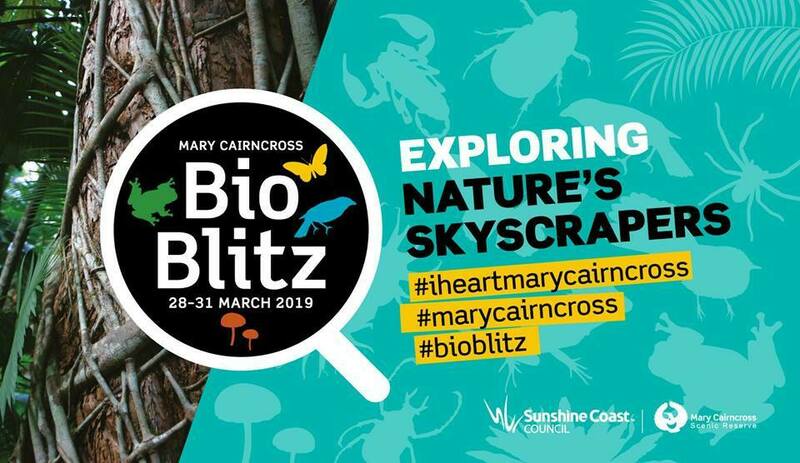 Make sure you get along to the Mary Cairncross Scenic Reserve in Maleny to participate in BioBlitz - four huge days of never-before-seen perspectives of the rainforest reserve. Tree-climbers, scientists and artists will climb five giant strangler figs to study, capture and share the information from these majestic living skyscrapers. From March right through to August, there will be heaps of opportunities for the public to get involved - to learn, to listen and to create in the BioBlitz workshops and events. Need I mention how much fun the children will have, all the while learning about the fantastic region, we all proudly call 'home'. 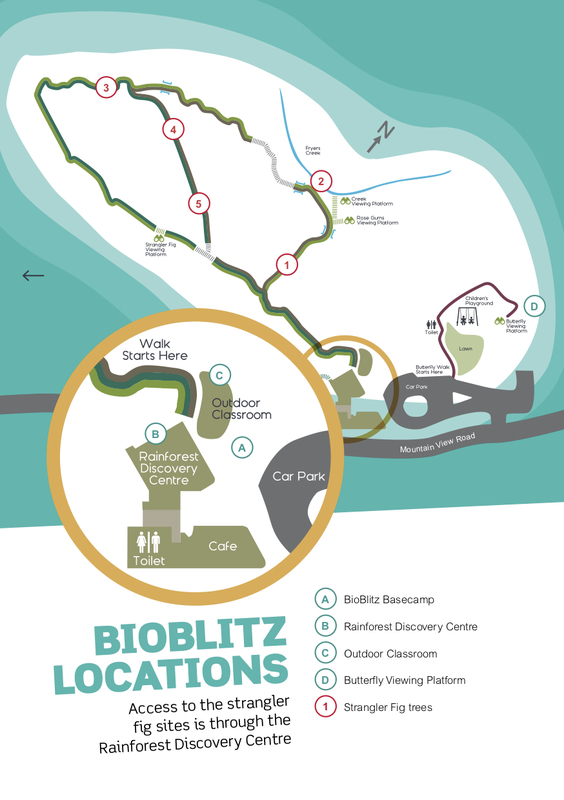 For ease of reference, please see map below for BioBlitz event locations. Access to the strangler fig sites is via the Rainforest Discovery Centre. From the 28 March right through to the 25 August, visitors will have the opportunity to listen to the sounds of the tree canopy in the Rainforest Discovery Centre. Dr Leah Barclay from Griffith University has installed an acoustic monitoring microphone at the top of the rainforest at Mary Cairncross. What sounds can you hear and identify? 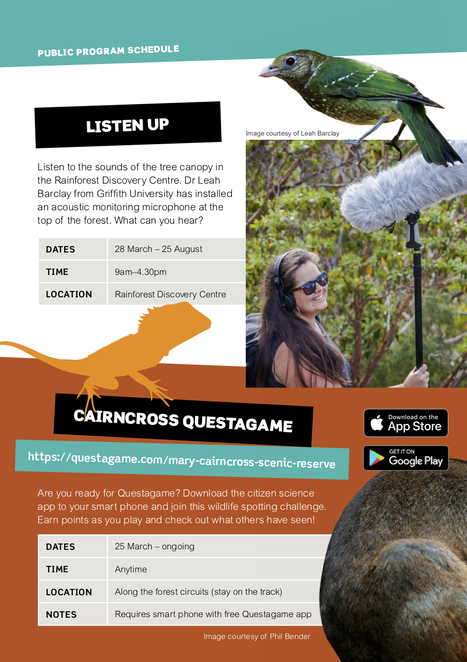 Download the citizen science app to your smartphone, iPad or other electronic device - you might already have this app installed from playing QuestaGame at the Eco-Hunt Adventure at Maroochy Wetlands Sanctuary last year - and be part of this fun, wildlife spotting challenge. Participants earn points while playing and can see what other players have discovered too. Download QuestaGame from the Apple Store here or on Google Play here. Calling all budding biologists and scientists! 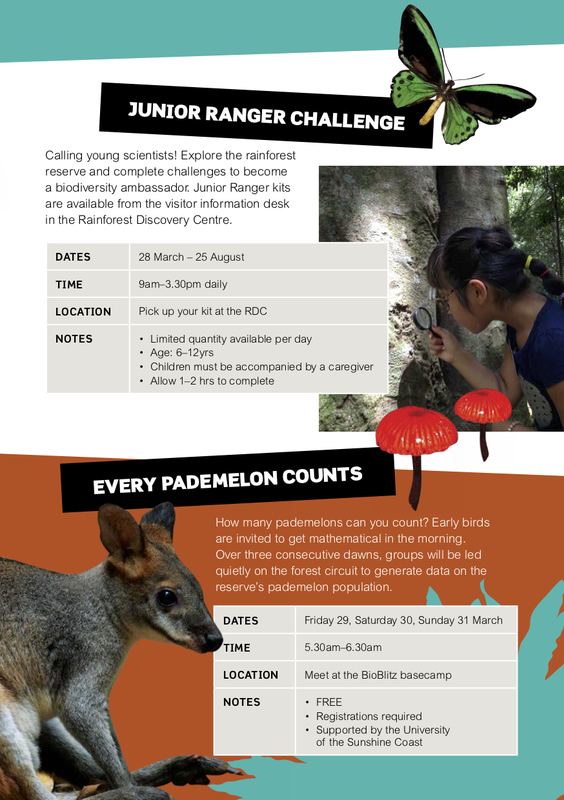 This is your opportunity to explore Mary Cairncross Scenic Reserve and complete different challenges to become a biodiversity ambassador! How awesome is that! Junior Ranger kits will be available for pickup from the visitor information desk in the Rainforest Discovery Centre. As these kits are limited, this is an opportunity for 'early birds' to rise and shine. How many pademelons can you find and count? This challenge is calling for the real 'early birds' to get out and about and put their mathematical skills to the test. Over three consecutive dawns, groups of pademelon counters will be quietly taken through the forest to generate information on Mary Cairncross' pademelon population. Registration is essential. Purchase your tickets online here. This should be fun and … educational! 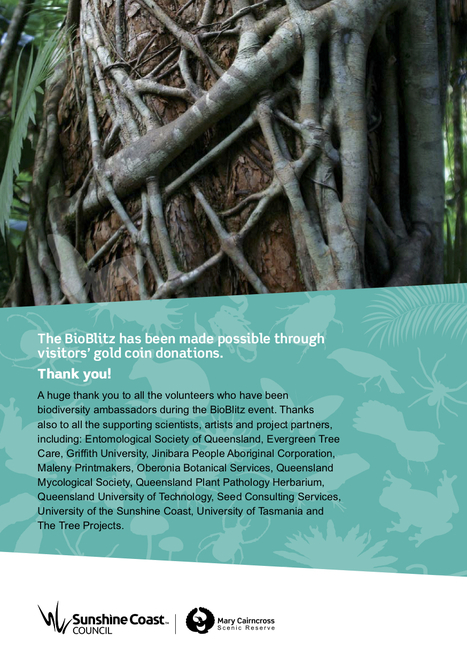 A variety of scientists and artists participating in BioBlitz are coming together for this very special Q&A evening, to share their insights into bio communication. In the ecological world's web, natural systems are held together by threads of communication - how do different species relate to one another and how does this information get translated? 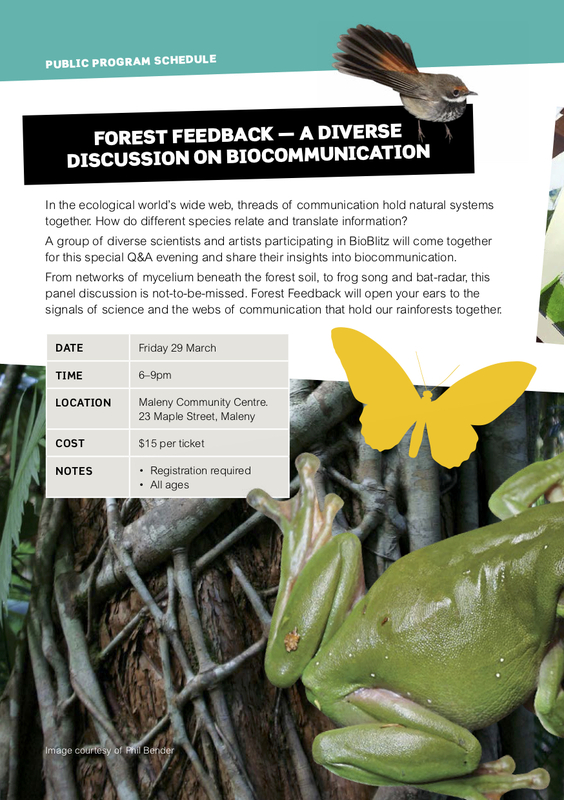 From networks of mycelium underneath the forest soil, to frog songs and bat radar, the Forest Feedback panel discussion is not-to-be-missed. Forest Feedback will open your eyes and your ears to the signals of science and the webs of communication that hold our rainforests together. Botanical Impressions is a FREE walk-in arts activity that will examine the beauty of local leaves. Maleny Printmakers will teach 'students' to capture the botanical beauty of leaves, in a keepsake to take home. 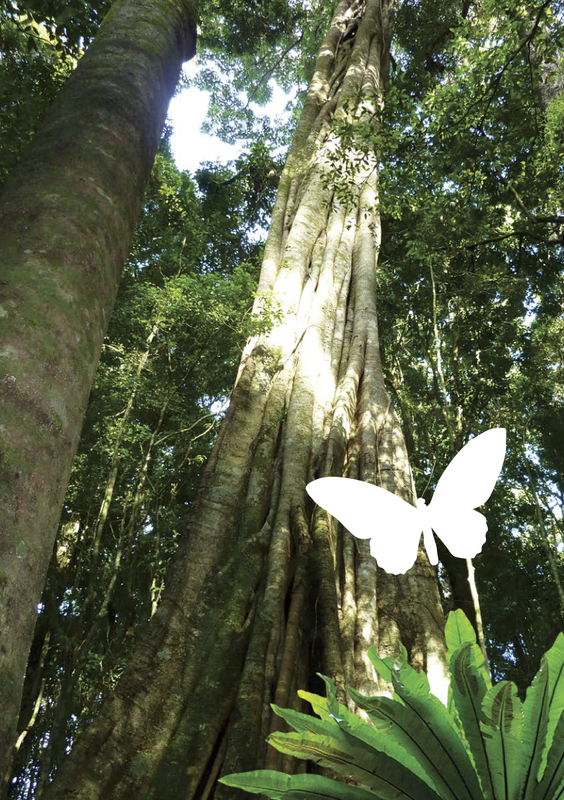 The Mary Cairncross Scenic Reserve region has been home to the Jinibara people for tens of thousands of years. 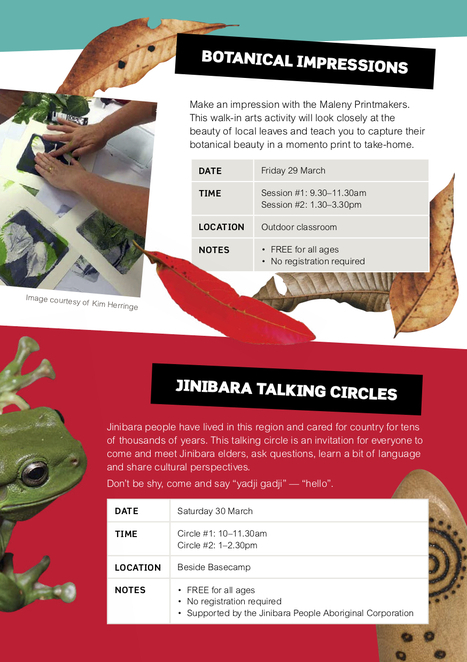 The Talking Circle is an invitation for everyone to come and meet the Jinibara elders, ask them questions, learn a bit about the Jinibara language and to share cultural perspectives. Don't be shy, come and say 'yadji gadji' (hello). Ecologist Dr Paula Peters will be offering instruction on botanical and animal observation and how to capture your environmental experiences in colour, line and notation. 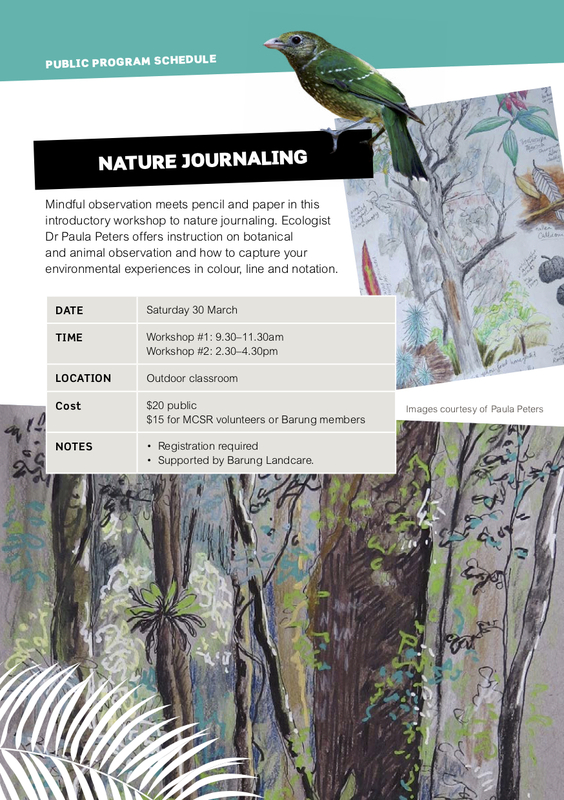 Nature Journalling is an introductory workshop, where mindful observation will be met with pencil and paper, hopefully resulting in a fabulous take-home piece of art. All children love to play outdoors in the dark and with this in mind BioBlitz is giving visitors a special opportunity to 'shine a light' on the study of insects. Do you know what an entomologist is? Don't worry, nor did I, but thanks to an online dictionary, I got my explanation. 'An entomologist is a person' - boy or girl - 'who studies or is an expert in the branch of zoology concerned with insects.' How awesome is that! Dr Geoff Monteith and Kathryn Ebert (both of whom are entomologists) will showcase the light trap method, attracting bugs from the forest, identifying them and answering all your questions. Children just love night-time outdoor activities and these two are FREE! 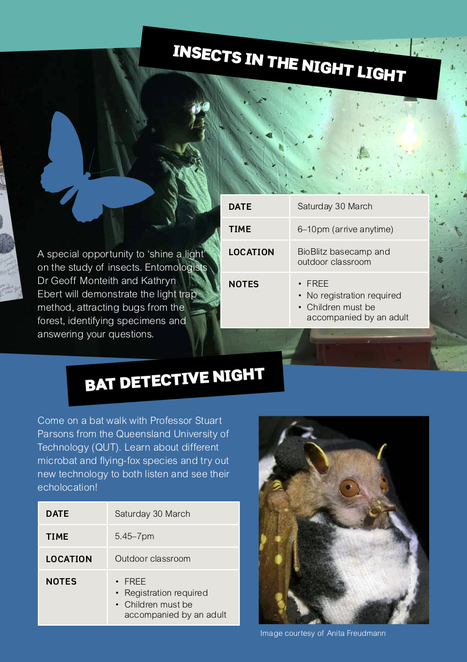 Professor Stuart Parsons from the Queensland University of Technology (QUT) will take you on a bat walk to learn about the diversity of microbats and flying-fox species, whilst trying out new technology that will enable 'students' to both listen and see their echolocation. 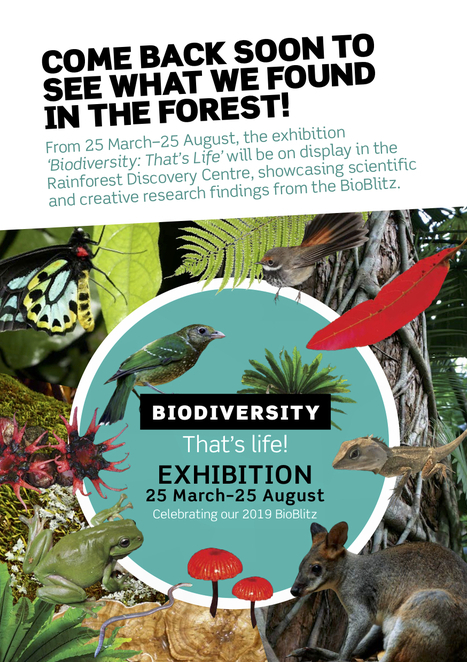 Once all the 'leg-work' and challenges have been completed, the public are invited to return to Mary Cairncross Scenic Reserve from the 25 March to the 25 August 2019, to enjoy the 'Biodiversity: That's Life!' Exhibition, that will be on display in the Rainforest Discovery Centre. The scientific and creative research findings from the four-day BioBlitz will be showcased for everybody's enjoyment. And, how much better will it be to know you have contributed too! The realisation of BioBlitz is as a direct result of all the gold coin donations made by visitors to the Mary Cairncross Scenic Reserve's centre and is the educational centre's way of saying 'thank you' to the public. Make sure you bookmark your calendar for all the important dates, so as not to miss out on the exploration of our region's rainforests, at the Mary Cairncross Scenic Reserve. Like the opportunity to learn more about our environment. Thanks to all those experts contributing their time. I agree Barry, it's going to be amazing!